07 अप्रैल 2011 को अपनी बैठक में स्टरलाइट टेक्नोलॉजीज की समिति ने प्रत्येक 2 रूपये के 3,65,00,000 इक्विटी शेयर ट्विन स्टार ओवरसीज को आवंटित किया गया है, तरजीही आधार पर वारंट के रूपांतरण पर. इसके अलावा, समिति ने 56,348 इक्विटी शेयर उन जागीरदार को आवंटित किया गया है जो कंपनी के कर्मचारी स्टॉक विकल्प योजना 2006 के तहत अपने विकल्पों का प्रयोग किया था. 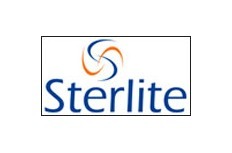 The committee of Sterlite Technologies in its meeting on 07 April 2011 has allotted 3,65,00,000 equity shares of Rs 2 each to Twin Star Overseas, Mauritius upon conversion of warrants on preferential basis. Further, the committee has allotted 56,348 equity shares to those grantees who had exercised their options under the company's Employee Stock Option Scheme 2006.